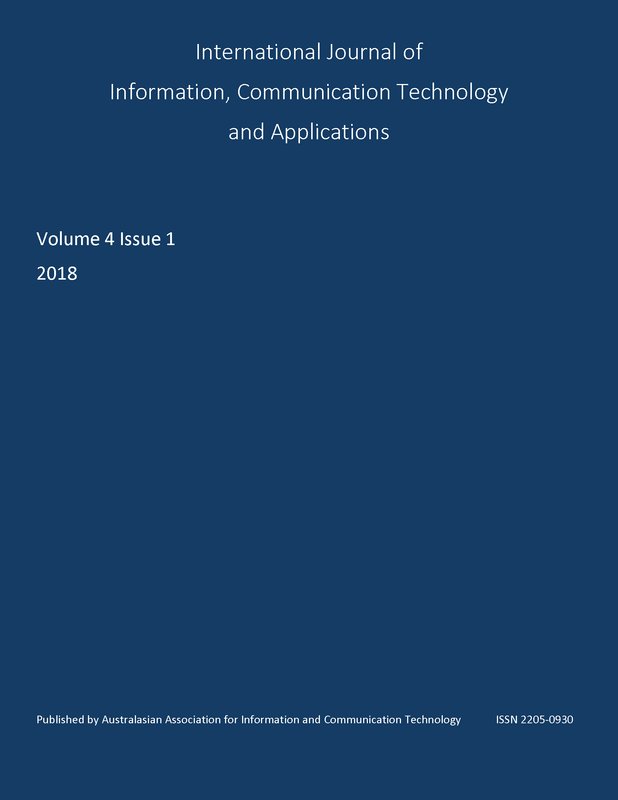 The 2018 issue of the Open Access International Journal of Information, Communication Technology and Applications. All papers are peer reviewed and a similarity score search is used to ensure the papers are suitable for publication. Mohammed Essa Al-Zobbi, Mr., Seyed Shahrestani, Dr., Chun Ruan, Dr.